Gurpreet has over 17 years’ experience in dentistry and is fully committed to continuing her professional development, through courses that allow her to keep up to date with the new guidelines and techniques so she can offer the best care to our patients. 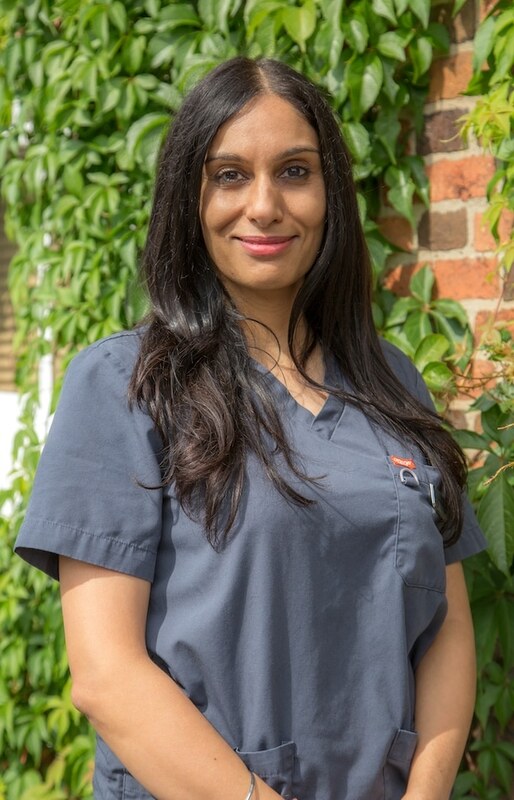 Born and raised in Loughborough, Gurpreet is experienced in cosmetic dentistry including cosmetic fillings, whitening and adult orthodontics in form of Inman Aligner. In her spare time, Gurpreet enjoys keeping fit including yoga/pilates, travelling, interior design and gardening.